Established in 2001, Humideco are a leading provider of low energy and steam humidifiers, for commercial buildings and industrial applications. We strive to ensure that quality runs through every aspect of our business, from the products we supply to our customer service. 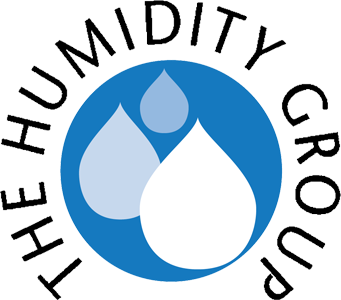 Humideco are experts in humidification and possess the knowledge and experience needed to provide the ideal solution for your particular application, from our wide range of standard units, or with a bespoke system. We have provided energy saving humidifier systems for many clients in the public sector and in Government departments, as well as for customers across industry, and operators of commercial buildings. No matter what sector you operate in, we can advise and assist you with system design, and the selection of units, systems and services to meet your requirements. Our installation work is carried out by our expert team, and we are fully accredited to the SafeContractor scheme, so you can be sure your humidifier is installed to the highest possible standard. Tall buildings present particular difficulties for designers of building services: high heat loads across floors mean high demands for cooling, year round. Humideco have provided dozens of low energy ultrasonic humidifiers at numerous data centres across the UK in recent years. DriSteem’s UK distributor Humideco have recently supplied 4 large GTS (gas-to-steam) humidifiers, to maintain laboratory conditions within close limits of relative humidity, 24/7. Over the last 10 years, Humideco have replaced several of the original AHU steam humidifiers with low energy systems, and have since provided specialist maintenance of all the humidifier systems across the estate. Humideco is a registered company in England. © Humideco 2019. All Rights Reserved.